Sri Lanka (Sinhalese: ????? ???? ?r? La?k? ; Tamil: ?????? Ila?kai), formerly known as Ceylon, is in Southern Asia. It is an island country in the Indian Ocean, south of India. 2 Anuradhapura (Sinhalese: ?????????? ; Tamil: ???????????) — ruins of ancient capitals (partially restored). UNESCO World Heritage Site. 3 Batticaloa (Sinhalese: ??????? ; Tamil: ????????????) — called land of singing fish. Beautiful shallow beaches, paddy fields, historical places. 4 Colombo (Sinhala: ???? ; Tamil: ????????) — commercial capital and the largest city of Sri Lanka. Hotels, cafés, restaurants, night clubs and shopping. 5 Galle (Sinhalese: ????? ; Tamil: ????) — famous Dutch fort. 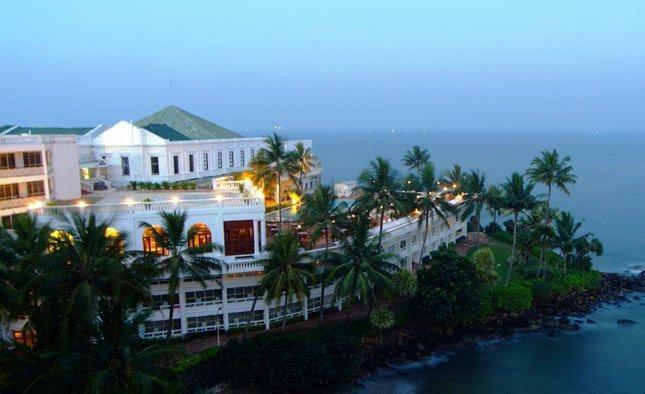 Host city of the Galle Literary Festival. UNESCO World Heritage Site. 6 Jaffna (Sinhalese: ????? ; Tamil: ???????????) — northern capital. On display is the rich heritage of the Tamil-speaking community. 7 Kandy (Sinhalese: ?????? ; Tamil: ?????) — spiritual heart of the country, home to a tooth of the Buddha. UNESCO World Heritage Site. 8 Negombo (Sinhalese: ?????? ; Tamil: ????????????) — beautiful landscape and great blue oceans. 9 Nuwara Eliya (Sinhalese: ???? ???? ; Tamil: ?????????) — Little England. Cool climes, Victorian architecture, top hats, tails and fascinators on race days. Located in the Indian Ocean just south of India, Sri Lanka is an island known for its natural beauty. Sri Lanka has stunning beaches all along its coastline, great wildlife and biodiversity and a cultural heritage dating back several millennia. Sri Lanka was engulfed in a bitter civil war for 30 years between the government and the Tamil Tigers, who were fighting for an independent state for the Tamil-speaking minority. The war ended in May 2009 but the consequences persist, and heavy emigration is still slowing Sri Lanka's population growth. Sri Lanka has more than 2,500 years of continuous written history by means of the Mahawansha, and was also mentioned in several ancient Indian texts. One of the most famous is the Ramayana, in which the island, which was referred to as Lanka, was the island fortress of the king Ravana, who captured the wife of Rama, an incarnation of the Hindu God Vishnu. Legend has it that Hanuman the monkey flew over to Lanka and destroyed the capital by setting it on fire, while Rama and his remaining troops later crossed over from the mainland by building a land bridge across the sea. There is however a school of thought, though largely unsupported, that Sita the wife of Rama, eloped with Ravana while Rama was away. It is argued by those who support this view that, this is why Rama subjected Sita to undergo an "agni pariksha" (test of fire) to prove her purity. Nevertheless, this theory is widely criticized by believers of Valmiki's version of the episode. The Sinhalese arrived in Sri Lanka in the late 6th century BC, probably from northern India (the most likely candidates being Bengal or Maharashtra). Buddhism came to the island from the middle of the 3rd century BC, and a great civilization developed in cities like Anuradhapura (kingdom from c. 200 BCE to c. 1000 CE) and Polonnaruwa (c. 1070 to 1200). The oldest of Buddhist monuments date to the Anuradhapura period. It was a period where Sri Lanka traded with other civilisations in Asia and Europe, including the Roman Empire. Most notably Sri Lanka exported cinnamon to the rest of the Old World. Other later famous kingdoms are the Dambadeniya, Yapahuwa, Gampola, Kandy and Jaffna Kingdoms. Occupied by the Portuguese in the 16th century and the Dutch in the 17th century, the island was ceded to the British in 1796, and became a crown colony in 1802. As Ceylon, it became independent in 1948; its name was changed to Sri Lanka in 1972. Since Sri Lanka is a tropical country, you can expect the rain anytime of the year in most parts. However, the two major rainy seasons are the North-East monsoon (October to January) and the South-West monsoon (May to July). Being an island, the climate of Sri Lanka changes dramatically from one part of the country to another. For example at Nuwara Eliya, in the hills of Central Sri Lanka, has a temperature around -5 to 20°C throughout the year, whereas Hambantota, in the dry zone, has a temperature consistently around 30-35°C. In general, Sri Lanka also has very hot temperatures all year long, which is why most Sri Lankan men wear sarongs while Sri Lankan women dress lightly with a long dress. Mostly low, flat to rolling plain; mountains in south-central interior. Second highest peak: Kirigalpoththa (Horton Plains) 2,388m. Third highest peak: Thotupola Kanda (Horton Plains) 2,357m. Online tourist visa can be obtained by all countries, except Maldives, Seychelles, Singapore. It allows a stay in the country for 30 days and is valid for six months. Application should be lodged in advance before entering the country and shall be done online. After this the applicant will receive an Electronic Travel Authorization (ETA) which should be presented at the port of entry in Sri Lanka and exchanged for a tourist visa. Visa charges are US$20 for SAARC countries (Bangladesh, Bhutan, India, Maldives, Nepal and Pakistan) and US$35 for others (2016). ETA is supposed to be ready in 2 days, though in practice they can be issued in only 10-20 minutes after the payment is received. Alternatively, tourist visa can be obtained without getting a prearranged ETA right at the Bandaranaike International Airport (at a visa desk in the arrival zone before customs) for US$40. Therefore online visa is not a pre-condition to board a flight/vessel to Sri Lanka. Important: immigration authorities at Colombo airport are very demanding with respect to the accuracy of the passport number on your electronic travel authorization obtained online. A single digit mistake is taken as a reason to force you to buy a new visa and refer you to some obscure government office in Colombo for refunds of your online payments. Be careful about 1 vs. I and zero vs. O. The number should exactly match the machine-readable section of your passport, and not anything else (for example, Russian passports have a non-alphanumeric number sign that should be completely excluded). Extensions can be made at the Department of Immigration, +94 11 532-9300; M-F 09:00-16:30, 41 Ananda Rajakaruna Mw, Col 10, Punchi Borella, Colombo. A visa extension gives you an additional 2 months in the country beyond the initial 30-day entry visa (so in total, you can stay in the country for 3 months). You can apply any time from immediately after entering the country until the expiry of your visa. An additional 3-month extension is possible (so in total, 6 months), but you must again pay the extension fee plus another Rs10,000. Extensions beyond this are at the discretion of the department, and incur a Rs15,000 fee plus the extension fee. See above for fees for the first 90-day extension. The department sets the cost in US dollars, but you pay in Sri Lankan rupees. To process the extension, the immigration office requires your passport and an onward ticket. Your proposed stay in Sri Lanka must end at least two months before the expiry date of your passport. The immigration office begins processing visa extensions Monday through Friday a bit before 08:30 in the morning. However, a worker usually starts to give out queue numbers and forms some time between 07:00 and 07:30, so arrive early to be among the first processed. Based on several extensions done in summer 2015, total time is about 2.5 hours if you arrive by 07:00: get ticket around 07:15, submit documents at 08:30, make payment at 09:00, get passport back around 09:30. If you arrive at 08:30, the room usually has started to fill and it could be around 3-4 hours. Arriving after 09:30, it'll be full and total time can be at least 4 hours. Arriving after 11:30 is usually not worth it, because the payment counter closes at 14:30; if they haven't finished the pre-processing necessary to get you to the payment stage before 14:30, you'll have to return the next day. You can leave the room to go outside for a break, but if you miss your number being called, it could add more time to your wait. Agents can do the visa extension for you: they take your passport and documents, wait in line, pay the fees, etc, then return the passport to you. Larger tour groups often use these agents for extensions. The agents know the system: they arrive early and get the first queue numbers. Because of this, being behind one local agent representing a group of 25 foreigners needing extensions could make your wait time significantly longer. Best advice as an independent traveller is to get your queue number before the local agents: arrive before 07:00, immediately stand waiting at the wooden desk which is on the left just after the entrance, and don't let the agents cut in front of you. The first and the biggest Sri Lankan airport is Colombo-Bandaranaike International Airport (CMB IATA), the journey to Colombo (35 km) will take about an hour by taxi. Besides, there is one more international airport opened in 2013 — Mattala Rajapaksa International Airport (Hambantota International Airport, HRI IATA), in the southern part of the country, approximately 250 km away from Colombo. SriLankan Airlines is the flag carrier, operating flights from cities throughout Europe, Southeast Asia, China, Japan, the Middle East, India, and Pakistan. SriLankan Air also flies to the nearby destinations such as Chennai, Trivandrum, Mumbai, Delhi, Cochin, Bangalore and the Maldives. Emirates Airlines connects many major European cities and others worldwide to Colombo with several flights daily from Dubai and Singapore to Colombo. The airline operates 777-300ER wide body aircraft on these routes. Indian carrier Jet Airways or its offshoot Jetlite flies to Sri Lanka. FlyDubai Airlines connects Dubai to Colombo at least since 2016. Qatar Airways has 3 daily non-stop flights from Doha to Colombo. Jet Airways has many flights a day to Colombo from Delhi, Mumbai, and Chennai. The budget airline Air Asia now operates from Kuala Lumpur, Malaysia to Colombo, Sri Lanka. This opens ups cheap flight for visitors from South East Asia as well as those who are visiting South Asia and then heading to South-East Asia (or vice-versa). Royal Jordanian has a daily flight from Amman to Colombo. Ukrainian International Airlines now has a flight from Kiev to Colombo via Dubai. Other airlines such as Singapore Airlines, Malaysia Airlines, Malindo Air, Thai International Airways, Cathay Pacific, Saudi Arabian, Condor (Germany), Spicejet (India), Meridiana (Italy), and JetAirFly (Belgium) operate to Colombo-Bandaranaike from their respective home bases. There are no direct flights that reach Sri Lanka from cities outside Asia, the Middle East and Europe. From the American West Coast, the distance is almost half the globe. Depending on your preferences and how much spare time you have, you can consider a stopover in Europe or SE Asia or take a non-stop flight over the North Pole to New Delhi or Mumbai from Chicago, Newark, New York City (JFK), or Toronto. In many cases, this may be the fastest route, but check if an Indian transit visa is required. Another fast and easy idea is to use Middle Eastern airlines from the US with stopovers in either Qatar, Bahrain, or the UAE (no transit visa required). For example the Dubai-based Emirates offers daily flights from SFO, LAX, Houston Hobby (IAH), and Toronto (YYZ) with a very short stopover before the short flight to Colombo. Emirates Airlines offer non-stop service to Colombo two to three times daily from Dubai. SriLankan Airlines is part of the Oneworld alliance which allows through ticketing with American Airlines, and several Asian, European, and Middle Eastern airlines. The Tuticorin (India)—Colombo passenger ferry service has been suspended and will commence once the requisite infrastructure is put in place on both sides, which might take years (2016). According to the customs office in Tuticorin it is illegal for a cargo ship to transport passengers from the Tuticorin Port to Sri Lanka. Sri Lanka is rapidly expanding its infrastructure and public transport services, making independent travel easier over time. However, many roads are still thoroughly potholed and at times terrifying due to local driving traditions. Together with occasional massive crowds (especially on holidays), often lacking luggage space and occasional harassment of women travelling alone, buses may not seem like the most appealing way of travel for some. Yet, they offer great opportunities for interaction with locals, are cheap, plentiful and come in different qualities. Sri Lankan Airlines operates seaplane service to destinations such as Nuwara Eliya, Kandy, Galle and elsewhere. This is perfect for photography trips because you can get a bird's eye view of the island and takes less time to get to a destination than using the road. Also the seaplanes land on picturesque lakes and tanks around the island. Cinnamon Air (air taxi), No 11, York Street, Colombo 01, ? +94 11 2 475 451. A Domestic Airline offering daily scheduled flights from Bandaranaike International Airport to Sri Lanka's most popular destinations. Ratmalana Airport (RML IATA) is a major domestic airport in Colombo. Helitours — Ampara, Anuradhapura, Batticaloa, Hambantota-Mattala, Jaffna, Kilinochchi, Trincomalee, Vavuniya. Millennium Airlines — Charter: Anuradhapura, Jaffna, Kalutara, Koggala, Minneriya, Sigiriya, Trincomalee. For those on a budget buses are everywhere. As a foreigner you maybe be overcharged, simply ask for a ticket to your destination to get the correct fare. They're sometimes crowded and uncomfortable, but they get you around for almost nothing; it costs about a dollar to get half-way across the island. If you're planning on splashing out, AC buses run most routes for twice the price, which offer air-conditioning and a guaranteed seat. However, they're still uncomfortable. Bus stations are confusing places, especially the big ones, but almost everyone will be delighted to practise their English and help you. Also, when travelling by bus, it is local etiquette in most buses to provide or give up the very front passenger seats to members of the clergy such as monks or priests if they are present. If you're on a very tight budget, the standard public buses (CTB) lack air-con and are regularly pretty overcrowded, but they're dirt-cheap for western standards and run everywhere all the time. Private buses charge about double but are still cheap and often do have air-conditioning and often guaranteed seats. Your best bet is to inform upon arrival in a destination about your way out, and if possible secure a seat already. In all cases, arrive early and preferably travel light. If you're carrying a lot of luggage, you might have to purchase a seat for your backpack if you don't want to keep it on your lap or under your feet. Sri Lanka has an extensive railway system serving all major towns and cities in the island except for the North. The railway system in Sri Lanka is picturesque when entering the hill country because of the winding tracks along the mountains especially on the Badullu-Nanu Oya line. Make sure, if you can, to sit on the right side of the train, as it offers the better view. Travel by train is itself a journey to remember, be it travelling to Central Sri Lanka or travelling on the coastal line is just amazing. Highly recommended to travel by train outside Colombo. The Hill train to Badulla is an amazing journey. Preferably choose the express trains, and try to get a reservation beforehand, if you can. There are special Observation cars for tourists to take in the scenery. Trains can be slower than buses, depending if you are on a line that offers an express train or not, but more comfortable and even less expensive than buses. You can look up train schedules on the official website of Sri Lanka Railways. This site will only give you results for direct connections between stations. There are three classes of railway cars, although 1st and 2nd class are only available on some Intercity and Express trains. Travelling 3rd class is not as bad as it may sound. Often the difference between 3rd and 2nd class is only a missing armrest between seats. Intercity and Express trains have reserved cars which can be booked online in advance on 12Go Asia website. Trains are sometimes crowded, especially in the morning and late afternoon. Also, observation car seats for the lines popular with tourists (like the Colombo-Kandy line) are often booked out several days in advance in the high season. So whenever possible you should get a reservation beforehand: see  and  for more information. Privately owned train services such as Exporail and Rajadhani Express (which is suspended as of 2018) operate air-conditioned and serviced first-class railway cars to major destinations daily. While this is costlier than travelling by air-conditioned bus, it is much cheaper than hiring a car and offers facilities such as online reservations, friendly on-board services, spacious seating, on-board meals and wireless internet. Trains offer good alternatives when they are available, and the standard trains are only slightly more expensive than the private buses, if at all. One of the advantages is that 1st and 2nd class train tickets can be reserved several days in advance. Sri Lankan Railways has a useful website in English. There are also more expensive private trains with 1st class wagons and good service to some of the destinations. These obviously come at higher prices, but are still a reasonable and convenient option for travellers on a mid-range or higher budget, with a trip from Colombo to Kandy costing around Rs1700. The most common mode of transport in Sri Lanka is via a three-wheeled automobile appropriately referred to as a three-wheeler (tri-Shaw). Also known as tuk-tuks from the noise of their motors. These operate in a manner similar to taxis, and in many situations are a convenient and highly cost-efficient way to get around. Safety is a concern however, as none of them have seat belts and they are open to the sides. They are NOT permitted at Colombo-Bandaranaike International Airport, so don't let a tuk-tuk driver talk you into hiring him on your departure. Three-wheelers are ubiquitous in Sri Lanka. On any given street, you'll hardly have to wait more than a couple of minutes without one going by that you can wave down. If you're travelling with luggage, there are slightly larger three-wheelers with more space for your bags that you can look for. While it may be the most novel way to get around, it may not be the most cost efficient in every situation. Public transport is cheaper by far, and most three-wheel drivers tend to over price foreigners. So, never agree to the first estimate. The best price you can get is about Rs50-75 per km for short journeys and about Rs30-50 for long journeys (more than 15 km). If you do come across a metered tri-shaw make sure the meter is switched on. Taxis are slightly more expensive but surely a lot safer. Having said that, you probably have not experienced everything Sri Lanka has to offer until you travel in one. Rented cars usually turn out cheaper than three-wheelers, are less prone to road accidents, and are recommended by most hotels. Rented cars generally come with their own drivers. Often the automobile itself is free but the driver will charge a fee for his services. Some drivers and guides are government-licensed; some are extremely knowledgeable and multilingual, specialising in historical and cultural knowledge, and environmental/natural history for your visits to the ancient sites and the natural reserves. Driving yourself is very adventurous for Western tourists as the driving style is very different from those countries. Of course, if you're not on a budget and especially if you're pressed for time, renting a car with driver for the whole or part of the journey can be a convenient way to follow your itinerary, and will in some cases allow you to see two sites on one day. Daily rates vary between Rs5000 and 10,000 per day excluding fuel, depending on the kind of car you want and whether you book via a hotel or travel agency that will take a commission. You can also rent a car without a driver but you will need to bring your international driving license and get it validated by the Automobile Association of Sri Lanka to be able to drive on your own. You can opt to pay an agency to do this for you in advance. Otherwise, you must do it in Colombo, and it will take a day. You will find international car hire agencies in Colombo Airport and some local companies in Negombo's beach area. Tour operators are happy to get you a van and a driver who will take you all over the island but beware, the roads are bumpy and slow. If you book off-the-cuff when you arrive, ask to be shown on a map where you are going before agreeing to any 'tour' of the island and research before you arrive so that you have a clear idea of where you might like to travel. Senseless backtracking to lengthen the trip and increase the cost is a real danger, as is a driver's wish to take you on unwanted shopping expeditions in an effort to gain commission. Travel websites specialising in Sri Lanka are easily found and have greatly increased the choice that is readily available to independent travellers seeking tailor-made tours. The best of them will produce clearly-stated travel itineraries and some are flexible enough to make late changes to itineraries. Ask to see their booking conditions and anti-fraud policies. Taxis are a better way of getting around Colombo than three wheelers as, due to the metering, they often turn out to be cheaper. Rates are about US$0.55 and they have full day packages (approx 8 hours and 80km) for around US$40. They will also take you outstation for around US$0.30-0.35 per km with no waiting charges. You can also set up your own itinerary and travel around that way as opposed to whatever the tour operator tells you. Sinhala, spoken by the majority Sinhalese, and Tamil, spoken by the minority Tamil and Muslim groups, are Sri Lanka's two official languages. English is commonly used in most cities, especially Colombo, Kandy and Galle, and by government and tourism officials. But while most of the people in Colombo can speak English, don't expect everyone, everywhere to be able to speak it fluently. In the beach and tourist areas you will have no problem with English. Most people in rural villages, however, cannot speak any English, beyond a few simple words. Sinhala language The greeting in Sinhala is "ayubowan". It means "May you live longer"; 'Thank you' is "bohoma sthuthi" and "how are you" is "kohomada", pronounced "Ko homede""
Tamil language: The greeting in Tamil is "vanakkam"; 'Thank you' is "nandri"
Sinhala writing is much more curved than Tamil. After a while, you'll learn how to distinguish between the two. Admission fees for foreigners to many of the tourist sites in Sri Lanka are up to ten times those for locals. Sri Dhalada Maligawa and Peradeniya Gardens in Kandy. The ancient temples in Anuradhapura, Dambulla and Polonnaruwa which are very beautiful. Beautiful villages which look like England in Nuwara Eliya. There are many tea estates and Hakgala gardens too. The beaches of Unawatuna, Galle, Weligama, Bentota and northern areas. Whales in Mirissa and Kalpitiya. Wildlife in Yala National Park & Wilpattu for the best wildlife Safari experience. Go to Udawalawe National Park to see elephants and Kumana National Park (Yala East) for birdwatching. The unexplored Sri Lanka in Jaffna and the islands in the Northern Province (Delft). See Negombo's beaches, all sandy and blue. With a recorded history of more than 2,500 years, Sri Lanka has a rich cultural and natural heritage and its World Heritage Sites are among the absolute highlights in the country. With eight recognized entries, Sri Lanka has the second most listed World Heritage Sites in South Asia (only India, with 30, has more). The most recent addition however are the vast Central Highlands (including three highland parks: Horton Plains National Park, Knuckles Mountain Range and the Peak Wilderness Protected Area), which were inscribed in 2010. Other than these, Sri Lanka has identified two prospective World Heritage Sites: Seruwila Mangala Raja Maha Vihara and Seruwila to Sri Pada (Sacred Foot Print Shrine), an ancient pilgrim route along the Mahaweli river in Sri Lanka. There are a variety of things that you can do depending on your preference. Surfing - from November to April you can surf on the western and southern coast. Best place for the beginners is Weligama on the southern coast. You can rent a board for Rs1,500 per day or Rs400 per hour. Lessons cost Rs2,500 per hour, but bargain. Kitesurfing - from April to September you can kitesurf eastern coast. Best place for the beginners is Kalpitiya (Sethawadi and Kappaladi lagoons), where you can find kite schools and the best conditions in Asia. White water rafting is also available. Snorkeling - off the coral a sanctuary near Hikkaduwa is a popular spot to see turtles. Hiking - Horton Plains National Park offers a nice hiking opportunity to the spectacular view at World's End. The currency is the Sri Lankan rupee, denoted by the symbol "??" or " Rs" (ISO code: LKR). There are coins for 25 and 50 cents (bronze), 1 rupee (old version is big and silver, new version is small and gold), 2 rupees (silver), and 5 rupees (gold). Banknotes range from Rs. 10 to Rs. 5000. Coins that are more than a few years old are typically in quite bad condition. ATMs are in many places (especially at bank branches) in the cities and suburbs, less so in the countryside. Be careful of using credit cards, as fraud is on the rise in Sri Lanka. You can withdraw from debit cards too (Cirrus, Maestro, Visa Electron, etc.) where the logos are displayed. Mostly your card will be replaced by your bank once you go back to your country. Not every ATM accepts international cards, try Commercial Bank they accept international cards. You can't send money by Western Union or Money Gram from Sri Lanka abroad. One can only receive money via international money transfer while in Sri Lanka. 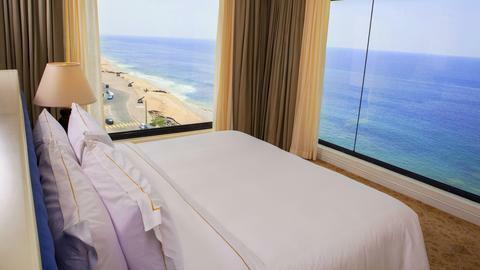 Sri Lanka is a little more expensive than Southeast Asia for accommodation. However, food is comparable: local street food costs around €1, a meal in a local restaurant, €2-5, and a bottle of the local Lion beer is €1. 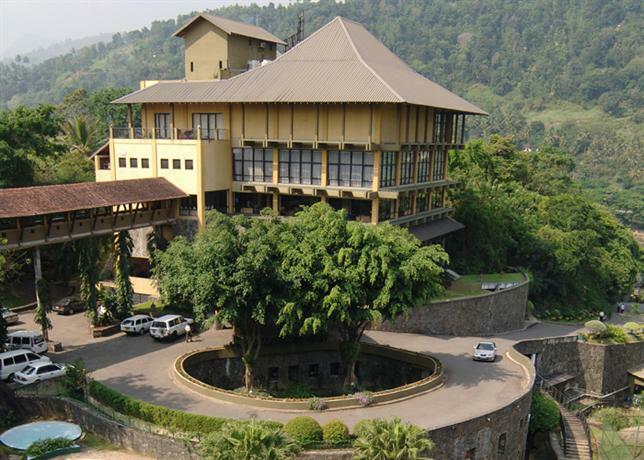 All across the country there are simple accommodations, hostels and homestays. The prices vary depending on the equipment at €10-20. On the coast many small boutique hotels opened up in the last years with prices of €20-30 per night in a double room. For more comfort expect to pay more than €40. Handicrafts of Sri Lanka. For reed, cane, cotton, paper, leather, wood, clay, metal, and gemstones have been transformed and re-expressed in an array of batiks, toys, curios and jewelery, all exquisite hand made treasures. Sri Lanka and South Indian food share a lot in common, and many local restaurants describe their menus as Sri Lankan & South Indian. There are a number of regional variations, though, the different types of hopper, devilled prawns, cuttlefish, chicken, etc., and the common fiery addition to any curry, pol sambol made of grated coconut, red chilli powder and lime juice. Sri Lankan food is generally spicy, but you can always ask for less spicy options if you prefer. Sri Lankans eat with their right hands - this isn't a major problem, because every eatery can provide cutlery if you can't eat otherwise. But try the Sri Lankan way (tips of fingers only! ); it's harder than it looks but strangely liberating. Food is generally very cheap, with a cheap meal costing about a US dollar. The most expensive tourist-orientated places seldom charge more than US$10. The staple food of Sri Lankans is rice and curry - a massive mound of rice surrounded by various curries and delicacies. If you want to eat a cheap lunch you can follow the Sri Lankan crowds and duck into any of a million small cafes, confusingly called 'hotels'. These normally sell a rice and curry packet, as well as 'short eats', a collection of spicy rolls. This is ideal for backpackers and those who want to get past the touristy hotels selling burnt chicken and chips - you're charged by how much you eat, and unless you're absolutely ravenous it probably won't cost over a US dollar. If you are taking road trips outside Colombo, there are endless options for places to stop on the road for lunch. Rest houses and hotels along major roads throughout Sri Lanka have good restaurants that offer both Sri Lankan and Western menus. If you are less adventurous, you can easily get good sandwiches and soups at these restaurants. These places have excellent rice and curry plates, and you will be served many different types of curries over an extremely generous portion of rice. These meals are extremely delicious and will leave you full and happy at the end of the meal. Eating is definitely a memorable experience in Sri Lanka. Kottu (Kothu) Roti (a medley of chopped roti, vegetables and your choice of meat) is a must-have for anyone - tourist or otherwise - in Sri Lanka. It is uniquely Sri Lankan and tastes best when made fresh by street vendors. However, several kottu roti restaurants have been closed down due to their use of stale and old roti, which made some patrons sick. Use caution, and even better, talk with the locals to figure out where the best kottu roti restaurants are. Other foods that you should try include String Hoppers, Hoppers, Pittu and Kiribath. 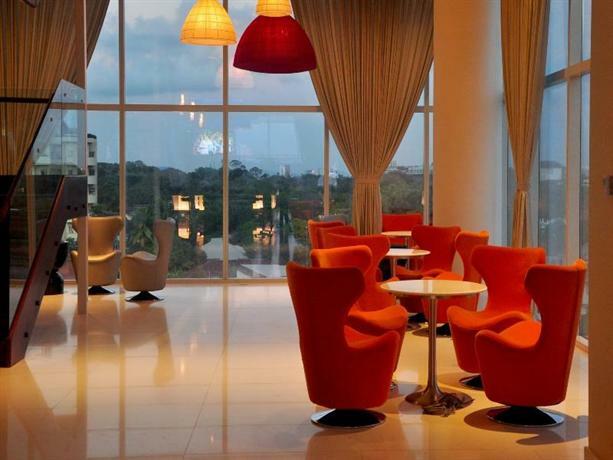 There are many upscale restaurants to choose from in the city of Colombo. There are several fine dining restaurants at the 5-star hotels which offer both local and international cuisine. These establishments are found largely in western Colombo (along Galle Road), though more are around Colombo and other major cities. Fast-food outlets such as KFC, Pizza Hut, McDonald's, Subway and Burger King can be found in major cities. In Sri Lanka water from the tap is not considered to be safe to drink in the country. However if you are using bottled water (1.5 litre for Rs60-70 in March 2012) always make sure SLS (Sri Lanka Standard Institute) label is present. Also in some parts of the country you'll find hard water due to the high presence of lime in the soil. Fresh milk, due to the climate, spoils easily, and so is often very expensive. Powdered milk, however, is safe and is often substituted. Thambili the juice from king coconut, is very refreshing. It's sold at the side of streets throughout the island, you know it's clean as the coconut is cut open in front of you and it's cheaper than bottled drinks at about Rs30/- each. Soft drinks are available almost everywhere, normally in dusty-looking glass bottles. The local producer, Elephant, make a range of interesting drinks - try the ginger beer and cream soda. "Coca Cola" and "Pepsi" also available in large and small sizes (plastic bottles) including several local soft drink brands - all available at rapidly multiplying supermarkets all across the country and grocery shops. The most common local beer is Lion Lager (Rs140 in "wine shops" or Rs200-300 in restaurants in March 2012). For something a bit different try Lion Stout. It is characterized by its tar-like oiliness of body and chocolate finish. 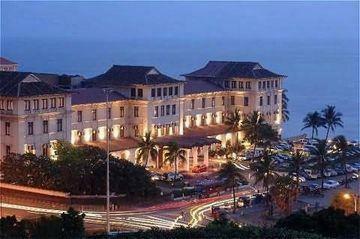 Other brews include Three Coins, which is brewed by the Mt Lavinia hotel chain, allegedly to a Belgian recipe. The traditional spirit is Arrack, which costs about US$4 for a bottle, and is often drunk with club soda. The quality can vary depending on how much you want to pay. However, widely recommended brand would be "Old Reserve" and worth paying US$7.50 for it. Sale and public consumption of alcohol is forbidden on Poya Days, which generally fall on the date of the full moon, but occasionally it falls a day either side. If you really want to drink on these days, either stock or use your hotel room's mini-bar. 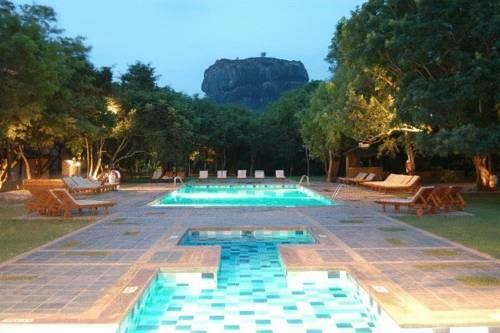 Accommodation in Sri Lanka has been transformed. What would be recognized as the modern tourist industry began in the 1960s with traditional beach hotels built on the west coast which were aimed primarily at the package holiday crowd and traditional travel operators. But the past decade has brought a major change, with the growth of villas, boutique hotels, and small independent and individualistic properties offering a huge array of choice. With the end of the civil war and the defeat of the Tamil forces in May 2009, tourist arrivals have been going up,and as there still aren't a great many decent hotels it's probably better to book early. Buddhist Studies and Pali Language. The universities of Peradeniya and Kelaniya offer a variety of Buddhist studies and Pali language courses in English. Meditation. You may find monasteries and meditation centres that offer meditation courses (generally free of charge) in the Buddhist Publication Society guide. Mahamevnawa Meditation Monastery is a good place to learn true Buddhism. Dancing There are many foreign enthusiasts to learn Sri Lankan traditional dance under three categories which are Udarata, Pahatharata and Sabaragamu. And there are distinguished drumming for those categories. In June 2009, the Sri Lankan government lifted travel alerts after the military defeat of rebel insurgents in the north of the country, though it is advisable to check with the local travel advisory bureau in your country if there is any doubt. Sri Lanka's lengthy and bloody civil war was ended one month earlier, when the government forces finally wiped out the Tamil Tigers. However, there might be land mines left, which can be troublesome, and the facilities in northern (and some parts of the east) cities and towns are war torn. These were the areas where the Tamils lived. The UN, NGOs and the Sri Lankan authorities are engaged in rapidly clearing landmines laid out by the warring parties. It's a long and difficult process. Bombings and assassinations were a firm part of both sides in the conflict, and there is heavy security in all sensitive locations. While the separatists have never targeted tourists, there have been deaths, notably in a landmine explosion at Wilpattu National Wild Park in 2006, and others have been wounded by terrorist actions. War is, after all, dangerous. In general, though, traffic accidents kill more people than terrorism. It's quite safe to travel in Sri Lanka and many tourists from all over the world started to come to the country after the end of the civil war. You'll see many foreign tourists at the tourists sites, mostly Westerners. Locals will greet foreigners with a smile and are generally helpful. It is recommended to avoid going alone after dark. Pickpocketing on public transport is uncommon, but take precaution. Violent crime is not usually any more serious a problem for tourists in Sri Lanka than it is anywhere. There has been an increase in violent crimes involving tourists in the past few years, but it is still very rare. Tourists should exercise the same care and attention as they would at home. Under colonial-era laws which are still in place, homosexual activity between consenting adults are punishable by fines. LGBT travelers should exercise discretion. Do not believe anyone who claims to be a professional (e.g., airline pilot), or in charge of a location (like a bus terminal) without proof. Scams involving gemstones are common. Do not buy with the intention of selling them in your home country for a profit. Be on guard for anybody trying to help you by giving you unsolicited directions or travel advice. Take any advice from taxi and auto drivers with a grain of salt, especially if they tell you the place you want to go to is closed, dangerous, non-existent, etc. If you are unsure, check a map. Unless you absolutely have to, do not agree to hire the same driver for more than a day at a time. They are a dime a dozen at each city and the whole country is so small that you will not have trouble getting between towns via bus, train, tuk-tuk or another driver if you have to. Even though you agree on a daily or hourly rate, the drivers will all generally attempt to make more commission out of you by forcing you to visit one of their friends businesses (e.g., spice, carving or gem shops). Calmly and firmly say you are not interested and if they continue to force you to go then find another driver - they are very common and you will have no problem finding another one. Vaccinations are recommended for Hepatitis A+B and Tetanus. Also, obtain the Typhus vaccination outside of tourist areas especially in the wet season. The CDC also recommends vaccination against Japanese encephalitis. Dengue fever: During the rainy season use mosquito repellent. When head and joint aches occur get a blood check. There is no vaccination yet. Yellow fever: Sri Lanka, like the rest of Asia is free from yellow fever, but a vaccination certificate is required from travelers over 1 year of age coming from infected areas. Visitors should avoid drinking water from the tap. It is best to stick to bottled water for both drinking and tooth-brushing. Although snake bites are extremely rare among tourists (comparable to being struck by lightning), anyone bitten should seek prompt medical care. This is true even if the bite doesn't result in any pain and swelling. The National Emergency number is 119. In Colombo, dial either 119 or if you want an emergency ambulance - 110. There are tiny little flies that live in the sand (inland only, not on the beaches). Any contact with the dry sand usually results in bites and subsequent painful scratches. So avoid even a little sand on your skin, including legs. There are several customs that, specially for Western travellers, would take a bit of getting used to. It is customary to remove shoes and wear respectful attire (i.e., no miniskirts, tank tops, short pants) when visiting temples. It is also the custom to remove shoes before entering a home, though this is not as strictly followed as in places such as Japan. Never touch or pat Buddhist monks, including younger monks and children who practice at a temple. Do not display tattoos that depict the Buddha. This can be regarded as highly insulting in Sri Lanka, even if acceptable in other Buddhist countries and regions. Arrest and deportation are realistic scenarios. Do not turn your back to a Buddha statue while within a reasonable distance. This includes posing for photos, where you should not make arm or body contact with the statue. It is advisable to photograph a Buddha statue with all persons facing towards it (as observing it), rather than posing alongside. Although much latitude is given to tourists, it is more polite to use your right hand when handing money and small objects, etc... Of course you can use both hands for something big and/or heavy. It is highly controversial to discuss politics, particularly the Sinhalese/Tamil divide or the LTTE. The 26-year civil war which ended in 2009 saw thousands of attacks throughout the country, including suicide bombings and massacres which have killed scores of politicians and civilians on both sides alike. No photography of sensitive locations (inside and outside), and inside of shopping malls and tea factories (outside OK). Be especially careful in Fort, Colombo (except on the beach). If soldiers are guarding something, it probably shouldn't be photographed. Don't rely on signs alone, as sometimes they are old or missing. For example, one end of a bridge may have a "No Photography" sign, but not the other. The country code for Sri Lanka is 94. Remove the intercity prefix (0) before the area code when dialling internationally into the country (i.e., 0112 688 688 becomes +94 112 688 688) when dialling from abroad. The two next numbers after 94 represents the area code, they are different for every district for more information see Telephone numbers in Sri Lanka. The use of GSM cellphones is widespread and the coverage is good. Dialog and Mobitel are two operators that have sales offices at the airport inside the arrivals lounge. Dialog Mobile has the widest coverage in the country including rural areas and has the best quality GSM / 3G / HSPA +/4G network. Mobitel also has a 3G/HSPA+/4G network. All the mobile operators are having same call rates due to floor rate tariffs. Therefore it is advisable to go to the network which offers you the best quality. All Mobile Operators offers cheap IDD Call rates. If you want to surf internet, best way is to buy a HSPA dongle and a Mobile Broadband connection. Dialog Mobile, Mobitel, hutch, Etisalat and Airtel offers prepaid Mobile Broadband services which can be activated and used immediately. Dialog is the Vodafone Roaming Network in Sri Lanka and offers the best range of Value added services for Roamers and the rates are cheaper. Etisalat and Airtel also provide cheap roaming rates specially to India. Mobile phones are cheaper and widely available. The conflict between the Liberation Tigers of Tamil Eelam and the Sri Lankan army ended in May 2009. The island is now entirely under the control of the Sri Lankan government. The security situation has improved significantly since the end of the conflict. There have not been any recorded incidents of terrorist violence since the end of the war. The Sri Lankan government has lifted restrictions on travel, but identification is required at some checkpoints. The nationwide state of emergency was lifted on August 25, 2011. However, the Sri Lankan Prevention of Terrorism Act permits prolonged detention without charge or trial. Roadblocks and searches are occasionally conducted without warrant. Carry personal identification at all times and comply with government and security force instructions. In some areas, particularly in the North and East, there is a security force presence as well as a few checkpoints. Roads may be closed on short notice. Expect traffic disruptions due to security checks. Maintain a high level of personal security awareness at all times, monitor local developments via local news reports and follow the advice of local authorities. Special security measures remain in place in the East and the North, including in the Jaffna Peninsula. Demining operations are ongoing; however, unmarked landmines remain. Pay attention to signs warning of mines and avoid travelling off the main A-9 road. Caches of weapons continue to be found. The resettlement of internally displaced persons is also ongoing. Reports of increased criminal activities and land disputes have been more frequent recently. Some Canadians of Tamil origin report difficulties, including arrest or detention, during screening and security operations. Ensure that you carry proper identification at all times. The 2013 Commonwealth Heads of Government Meeting will be held in Colombo from November 15 to 17. Expect an increased security presence throughout the city and delays at the airport. Avoid all demonstrations and follow the advice of local authorities. 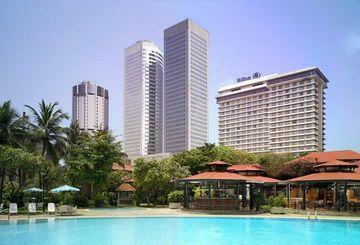 It may be difficult to find accommodation in Colombo during this period. Violent crime occurs. There has been an increase in the number of violent incidents (assaults) in remote areas of the country since August 2011, primarily in the northern, eastern and central provinces. There has also been a substantial increase in harassment and assault cases aimed at Western foreigners. Petty crime such as purse snatching and pickpocketing is on the rise, especially on public transportation. Theft has occurred in hotels and guesthouses. Ensure that your personal belongings, passports and travel documents are secure at all times. Credit card fraud is common. Pay very close attention when your credit card is being handled. Cash transactions are recommended. Women are often the target for unwanted attention. They should exercise caution when travelling alone. Consult our publication entitled Her Own Way: A Woman’s Safe-Travel Guide for travel safety information specifically aimed at Canadian women. Avoid all demonstrations and large gatherings, as they have the potential to suddenly turn violent, and follow the advice of local authorities. Traffic drives on the left. Road conditions are usually poor outside major cities. Road accidents, often causing death and injuries, are common due to poorly maintained vehicles and erratic driving practices. Travel by bus is generally unsafe due to aggressive drivers and the risk of theft. Swimming conditions may be unsafe. Follow the advice and warnings of local authorities. Tourist facilities are widely available but quality varies, especially inland. Travel to remote areas should be arranged through a reputable travel agency. Dial 119 to reach police and 011 2691111 for an ambulance. Medical services are below Western standards. Medical facilities in certain areas outside of Colombo are limited, particularly in the North. In the event of a major accident or illness, medical evacuation is often necessary. Medical transport is very expensive, and payment up front is often required. Smoking and alcohol consumption in public places are prohibited. Exporting antiques without a proper license is also illegal. Photography and videotaping of government and military installations as well as in any designated high security zone is prohibited. Respect religious traditions and artefacts. Posing for a photograph next to a statue of Buddha is a serious offence, punishable by a fine or an arrest. Tattoos, jewellery and clothing associated with Buddhism may be considered offensive. Carry official identification at all times. The currency is the Sri Lankan rupee (LKR). Most major banks will change U.S. dollar traveller’s cheques as well as permit Visa and MasterCard cash withdrawals. Credit cards are widely accepted in major urban and tourist centres. There are automated banking machines (ABMs) in major cities, but some do not accept international cards. The monsoon season extends from December to March in the northeast and June to October in the southwest. Severe rainstorms can cause flooding and landslides. Typhoons usually occur between April and December. These storms can result in loss of life and extensive damage to infrastructure, and can hamper the provision of essential services. Keep informed of regional weather forecasts, avoid disaster areas and follow the advice of local authorities. Consult our Typhoons and monsoons page for more information. The Department of Meteorology provides local weather forecasts.